Street parking and public lots all within walking distance. Please inquire within for outside catered events. 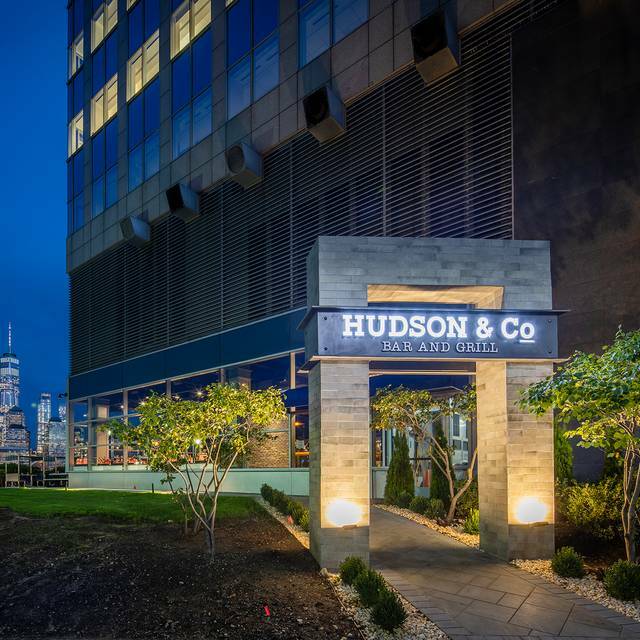 Hudson & Co is excited to host your next corporate event or group dinner. In optimizing every angle of this tremendous space, the innovative space offers a full array of indoor / outdoor entertaining options. 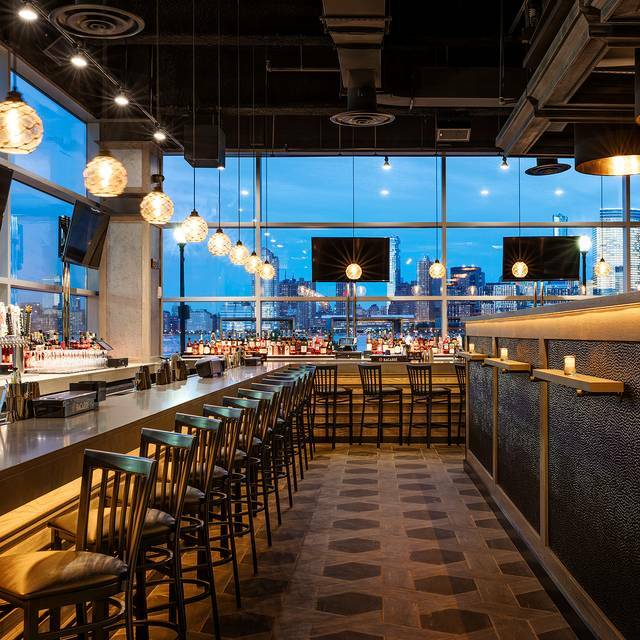 Hudson & Co. Bar & Grill offers an extraordinary bar area, private dining room, raised platform space, outdoor terrace, and outdoor beer garden that are just as remarkable as the main dining area of the restaurant. 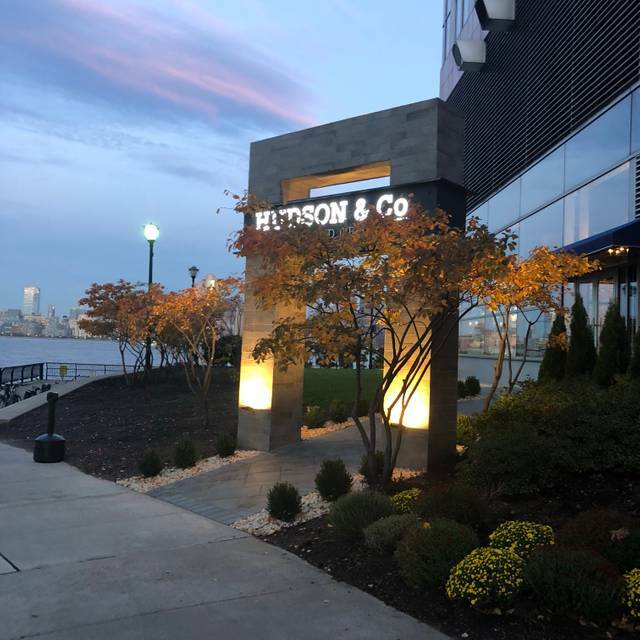 Jersey City, the New Jersey metropolis known for providing stunning skyline views of Manhattan and first-class dining options to residents, has welcomed a new, premier gastropub to its waterfront: Hudson & Co. Bar & Grill. 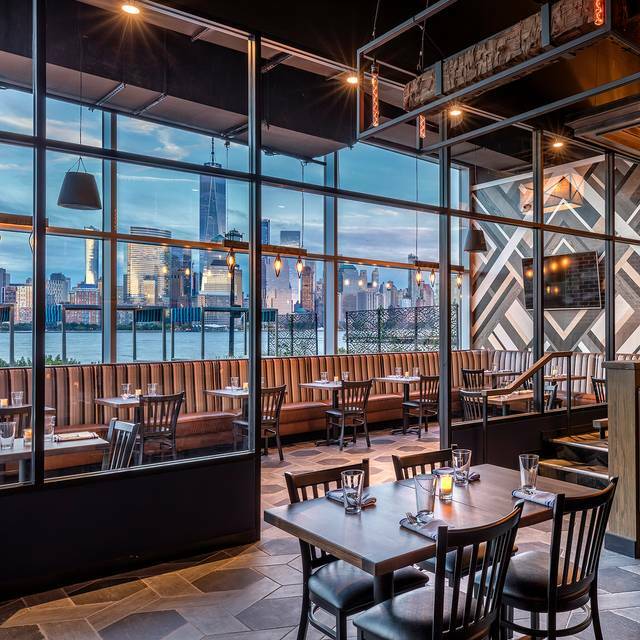 The restaurant, which boasts 12,000-square-feet of indoor and outdoor dining space, will provide guests with mouthwatering dishes and high-end cocktails in a nautical-inspired atmosphere. This place was amazing! Beautiful view of NYC. We got there at 7pm. Perfect timing because it was a beautiful backdrop of the sunset reflecting off the buildings in NYC. The server was very friendly and worked with a sense of urgency. I don’t remember his name, but he had black, short hair. The teriyaki wings were delicious and I don’t like anything teriyaki. They weren’t drowned in the sauce like other places do and were seasoned perfectly. My wife had the Vermont burger and when I took a bite, I almost regretted ordering my sausage, broccoli rabe, vodka sauce pizza. The burger was juicy, but not greasy. My pizza was on point. I could’ve eaten it all but I wanted to save some for breakfast. Every staff member we came in contact with, was extremely friendly and accommodating. I enjoyed watching them work as a team with the common goal of pleasing the customer. I highly recommend this place for a nice, chill, romantic evening with your significant other. Went to Hudson & Co for a friends birthday. Food was great. I had the 40 day aged steak and it was amazing. The views of NYC were stunning and the service was impeccable. I would highly recommend. We were staying nearby and decided to give this a try. I would describe it as just ‘ok’, not terrible and not great. Our server dropped a bottle next to our table, which can happen to anyone, but they brought a big mop and bucket to clean it up right after serving our mains...I’d prefer to have been asked whether we’d like to move, or wait to be served etc. Great wait staffs d the food was wonderful with beautiful views! We had a disappointing experience with the food. We ordered several dishes to share and everything came out quickly but food temp was luke warm. Our filet mignon was ordered medium rare and came out blue. The server was great and did take it off our check. For the money we spent, we just paid for the view not great good. I wouldn’t recommend for a special occasion. Fine for after work drinks and appetizers. Awful! The service was so bad. The food was mediocre. And the view of the city from inside is obstructed if you are not sitting at the bar. Do not waste your time. Highly recommend this restaurant on the coveted Hudson waterfront. The menu had interesting twists on traditional menu items. The kale salad with farro and pomegranate seeds had an unexpected twist of curry. Definitely try the apple caramel dessert. Although our waitress took longer then expected to greet us at our table she was great afterwords. The food and drinks were delicious. The view of the NY skyline was beautiful. I definitely recommend this restaurant. This place was definitely a great experience. I wouldn’t go as far to say that it was outstanding but it was very good and certainly an enjoyable time. I can’t argue about the pricing for the food. My wife and I got a the steak and it was cooked exactly how we asked for it. I ordered well done, she order medium. Both were cooked perfectly, and was very flavorful. It also paired great with the sauce, cream spinach and cocktail. The waiter was nice. The view was very beautiful for where we sat and it was a great date night. I’d recommend this sort of place for a very nice date, I can’t say I’d recommend it for an anniversary, but definitely a nice date, possibly a celebration type meal. Staff was very attentive and polite while still maintaining a relaxed vibe. Food was good. Everyone had a great time. We will be back!! Service and food were great-the only issue was that they did NOT have our reservation! We made it through Open Table & confirmed that by e-mail as well. Got there-no reservation. Also, they said there was valet parking on the web site but there was not. I would recommend but make sure they got the right table. Many, many of the tables you could be anywhere - the dividers are so high you cannot see the spectacular skyline. Best spot is the bar! Servers were lovely and food good. Parking a bit tricky or expensive. Our server Jesus was awesome!! He made our experience that much better. The food was really good as well. The view of NYC from the restaurant were spectacular. I would dine there again!! Big thanks to our server Jesus. My family and I shared the wings (bourbon bbq & buffalo) and the pretzel with bechamel for appetizers. I loved the wings and they were a nice size. We all had burgers which were tasty as well. They came with a huge tin of fries. We also shared the Mac n cheese which was to die for. Service was excellent and I loved the ambiance. In addition I like the wide variety of drinks on their cocktail menu. I will definitely return! This is certainly one of, if not, the best restaurant in New Jersey. All of our dishes were perfection. The view of the Manhattan skyline was just breathtaking. Seeing as all 5 of us were Jersey City natives, we just loved the wonderful addition that this place is making to our beloved community. Also- the service was the best! Better sports bar than anything else. The atmosphere and view are outstanding. Our server Chelsea and our bartender JoJo were awesome! Very friendly, very knowledgeable and extremely personable! Would definitely recommend this place for great food and an awesome time! Best meal I have ever had, the food was outstanding. Amazing service and food! We need more places like this in the area, casual dining but not so casual to the point where it's just another sports bar. Amazing views. Out waitress was AMAZING. Usually service in this area is awful, she was so kind and attentive. Will 100% be going back ! Very nice place and great service. We were just disappointed with the Chilean Sea Bass. For the price we were expecting much better but it tasted like something we would make in an instapot. Filet Mignon was really good though. Food and service was excellent. I would come back again. Thank you Hudson and Co.
Great food, great service! We ordered the sushi platter (which was more like a negiri) and the grilled cheese. Highly recommended!!! We went there early so it wasn't crowded at all. We had a great experience. Amazing brick oven pizza. You will not go wrong with the truffle pizza, we added arugula....delish! Overall great experience dining here. 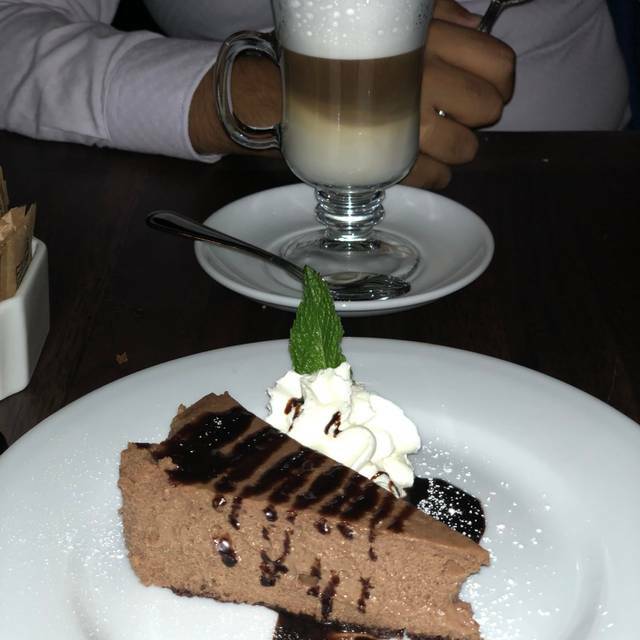 The food was excellent, the restaurants decor is really nice. Our waitress Gabriella was excellent! My boyfriend and I went for Hudson Restaurant Week with a 3 course menu which was delicious. We will definitely be back! This will be one of best reviews I write on OT. From the greeting at the door everyone was professional kind and courteous. I arrived ahead of my company . Stopped at the bar. Which was stunning. An attraction in itself! I was greeted within a minute by Amanda who was a professional. Served my scotch w a side of water! ( scotch drinkers notice this). Dinner; excellent waiter. Appy. Mussel pot was incredible, highly recommended. Dinner. NY strip, medium rare was cooked perfectly. Served on a cast iron high temp skillet, sliced w broccoli/ garlic butter. I will be back often. Keep up the great work!!! Business lunch with a view. Solid menu with great opportunity to explore. 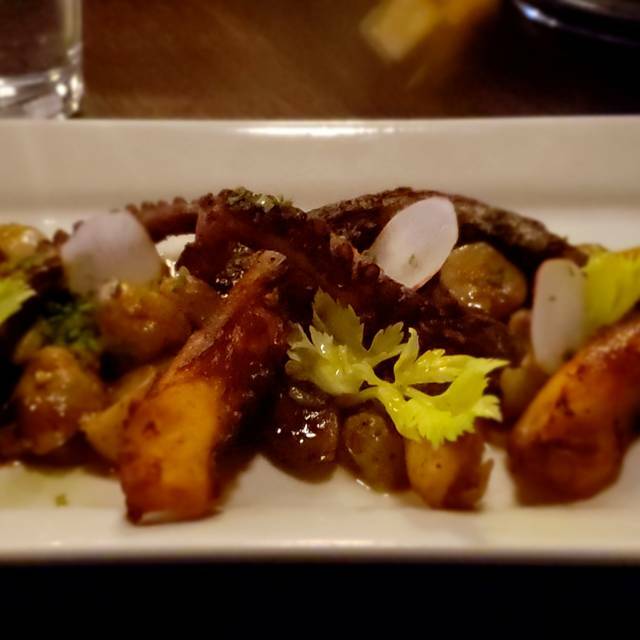 Great grilled octopus, very good Asian pork sticky buns, best BLT around. Attentive and professional staff. Left us alone to talk and fed us when we were ready to eat. Great experience. The service was slow, food was extremely overpriced for what is was, and was not that good. I would only recommend this place if you want to sit at the bar to grab a beer and watch the game or sit outside when the weather is nice and enjoy the view. El.lugar tiene una vista muy bonita, el restaurante muy agradable y las hamburguesas muy ricas. Server was very friendly and check on us periodically to make sure we had everything we needed. Great water views. Can’t wait to try this place out once the weather warms up.